Over the last decade, Islamist Watch, along with several moderate Muslim organizations and other anti-Islamist groups, have spent a considerable amount of time documenting and analyzing the Muslim Brotherhood network in the United States – examining its officials, finances and ideology. We have sought to understand how this minority extremist movement of political activists has managed to impose its own unelected leadership on historically moderate American Muslim communities. We now believe this question cannot be fully understood without also looking at the supporting players. Who are the clerics that speak at Muslim Brotherhood events? Who provides the educational resources and religious training for young Muslims at Muslim Brotherhood mosques? What sort of Islam is being inculcated in Muslim youth at community centres and da'wah initiatives across America? 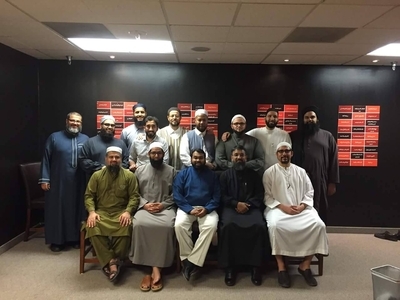 Over the next year, Islamist Watch will examine the Salafist and Deobandi clerical infrastructure in the U.S., its involvement in school and seminary education, and its relationship with other Islamist movements such as the Muslim Brotherhood and Jamaat-e-Islami (the Brotherhood's South Asian cousin). It is only by delineating the distinct networks that constitute American Islamism, that we can properly understand how the Islamist grip over so many American Muslim communities came about. Such Islamist predominance nourishes the growing problems of extremism, radicalization and terrorism that risk defining American Islam for many years to come. Want to contribute research or tips to these efforts? Please contact Islamist Watch's coordinator at Swindle@MEForum.org.